Obedience Trials test a dog’s ability to perform a prescribed set of exercises on which it is scored. The basic objective of obedience trials, however, is to recognize dogs that have been trained to behave in the home, in public places and in the presence of other dogs in a manner that will reflect credit on the sport of obedience at all times and under all conditions. 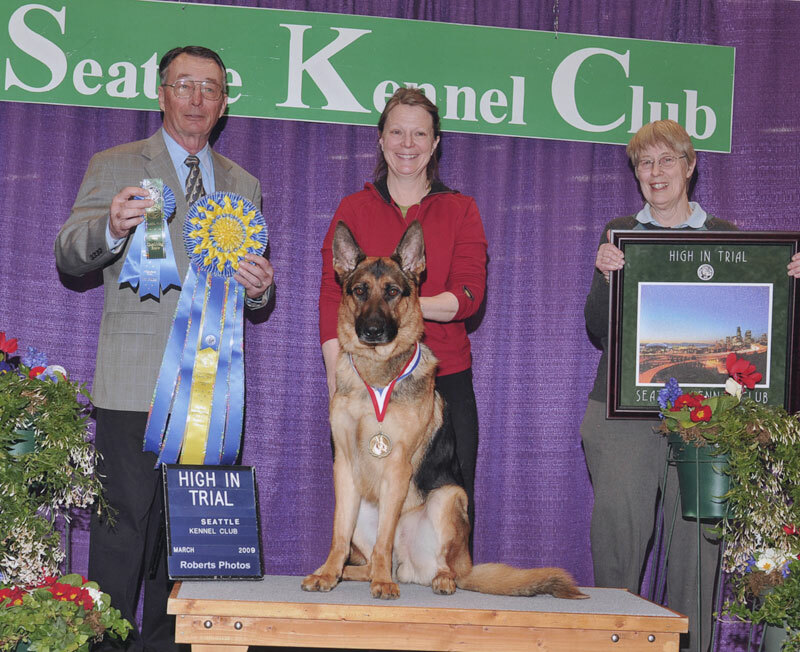 The performance of dog and handler in the ring must be accurate and correct according to the Obedience Regulations. It is also essential that the dog demonstrate willingness and enjoyment while it is working and that a smooth and natural handler be given precedence over a handler moving with military precision and using harsh commands. In each exercise, you must score more than 50 percent of the possible points and get a total score of at least 170 out of a possible 200. 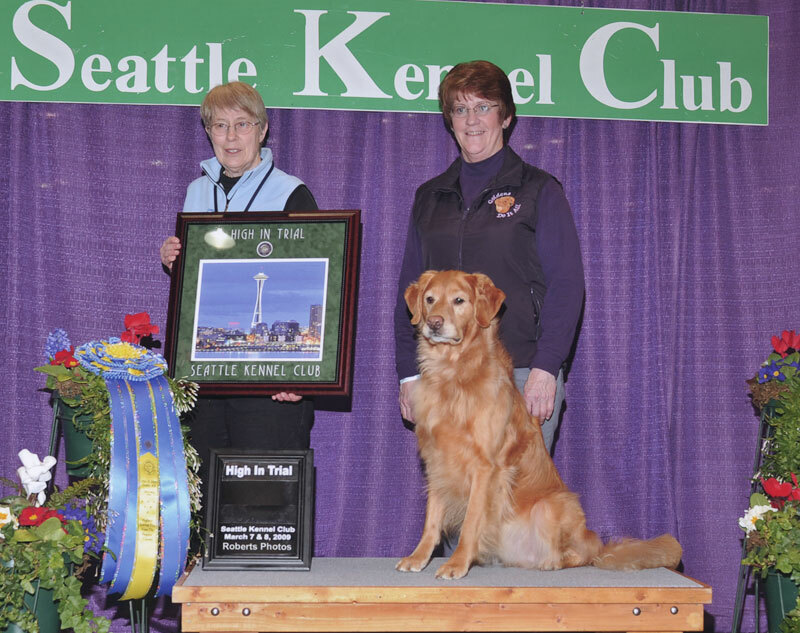 Each time your dog gets at least a 170 qualifying score, he’s earned a “leg” toward his title. Earn three legs and your dog has just earned an obedience title! There are 3 levels at which your dog can earn a title and each is more difficult than the one before it. The classes are divided into “A” and “B” at an obedience trial; “A” classes are for beginners whose dogs have never received a title and “B” classes are for more experienced handlers. The best part of watching a trial is to see the close bond that has developed between the dog and handler. Their total concentration on the task at hand gives way to the sheer delight of accomplishment that can be seen on the faces of both – and in the wag of a tail.